This was an adventure from day one, say wilderness guide, Marina Lotter. 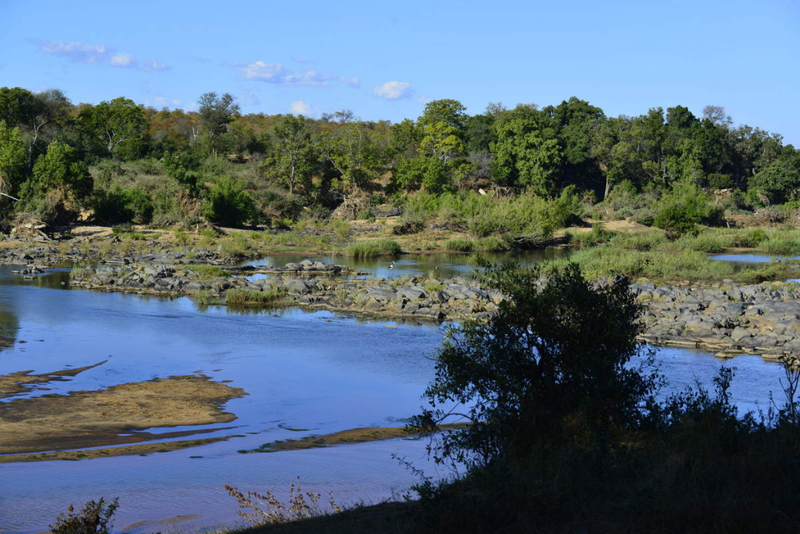 “We started the trail with an exciting afternoon walk from the camp along the Letaba River. A Journey of 10 Giraffe welcomed us into the bush, it is quite humorous watching giraffes, while they are staring back… so who is looking at who? We slowly continued our trail and walked into 2 buffalo cows and a calf, looking down at us, frozen and then suddenly darted into the thickness. 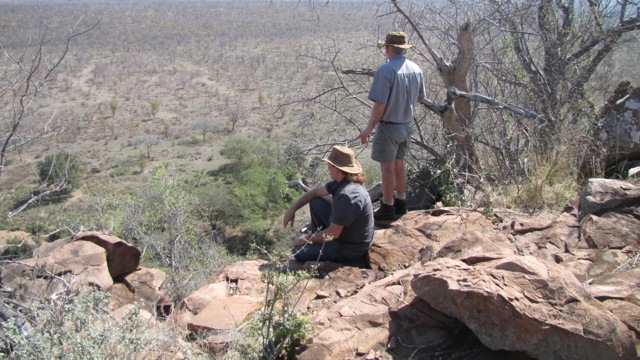 We were very pleased with our start of the safari and very content about the bush introduction we could give our clients. But it was not over. We suddenly spotted the backside of an Elephant cow, and quickly made our way to a secure area. The wind was in our favour and the elephant did not notice us. We then had the opportunity to observe a whole herd of elephants walking down to the river. It was a special moment, and the elephants were undisturbed. The next day we did a 4 hour walk around Leopard Rock. We focused a bit on all the animal tracks we could find: zebra, elephants, impala, hyena and many more tracks. Then we heard the bulking of a herd a buffalo. We immediately started to walk in the direction of the sound; very exciting not knowing exactly where they were, stopping at each termite mound, looking and listening and then finally finding the buffalo herd. We planned our walk around them, not disturbing them, until we had a great spot to observe them from a safe area. Typical buffalos, they starred at us for a while, not smelling us and trying to figure out what we are planning to do next. 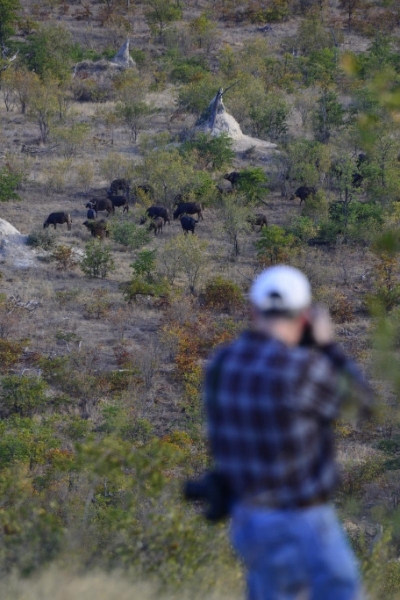 But it only took one buffalo to be spooked and the whole herd stampeded away from us. 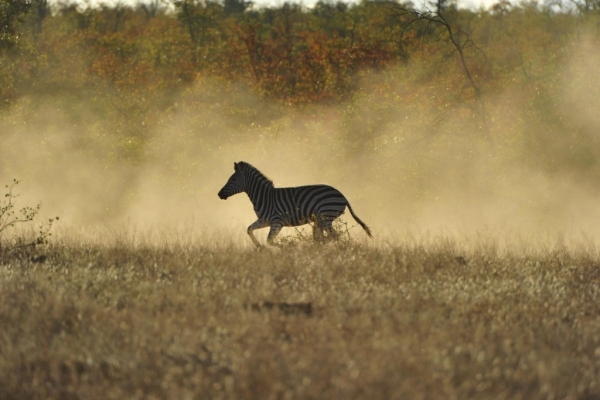 We continued our walk along a natural spring, only to find herds of impala and zebras. They only allowed us 80m from them. We had a wonderful interaction with a lonely giraffe bull and while we were having breakfast, a sounder of warthogs walked almost straight into us, only realizing at last minute we were there and trotted off. Our afternoon walk was amused by a bachelor herd of 6 Elephants. Typical teenage boys, they were pushing each other and played in the river. We also saw a beautiful Nyala bull, very relaxed about our presence. But also found a perfect Nyala carcass, who was probably the victim of our resident Leopard. Our next morning walk was from Hangklip back to the camp along the Letaba River. It is a beautiful start from the viewpoint. The wind was behind our backs, and it lessened our chances of finding any animals. 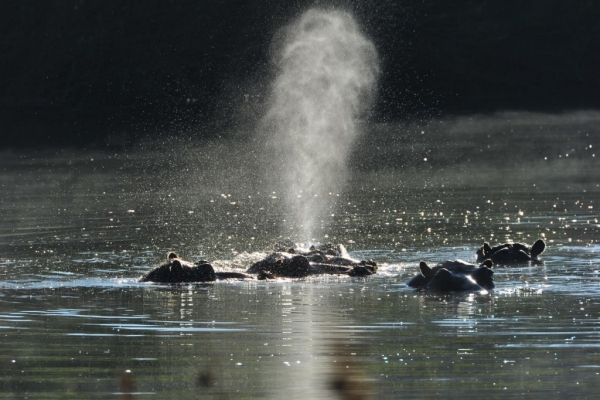 Even the hippos were warning each other as soon as they could smell us, before they could see us. But we spent some quality time next to a thunder of hippos while enjoying breakfast. Our afternoon walk was from camp 15 in an easterly direction. We spotted a lonely young elephant bull and enjoyed the company of many hippos and crocodiles. 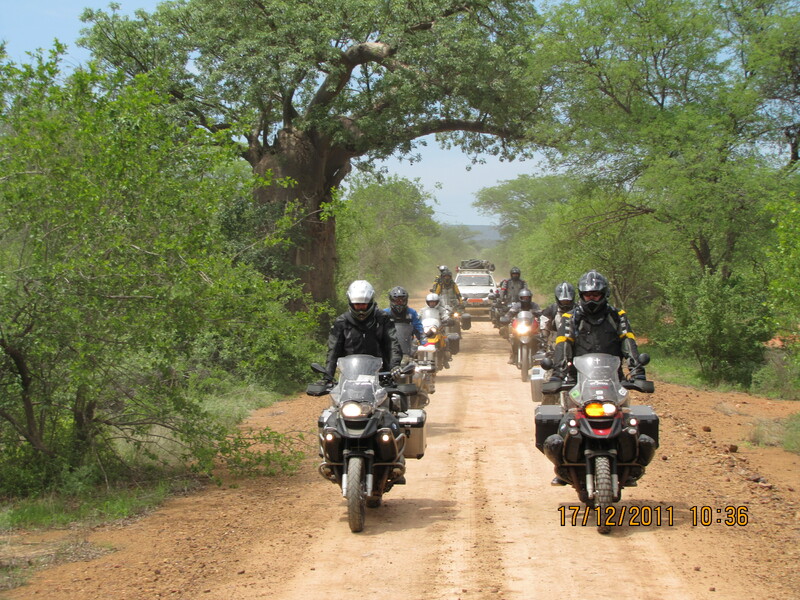 The trip was completed at the end of May 2014. Guests slept at Mtomeni Camp, and walked within the Letaba Ranch Reserve. Want to do a similar safari? Contact us on +27 21 701 7860 or info@dolimpopo.com.